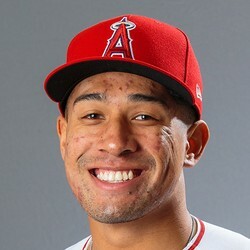 Jahmai Jones played in his second spring game with the Angels on Thursday after he had his debut on Tuesday. Jones is the Angels young top-prospect at Centerfield. He struck out at his one and only at-bat on Thursday after doing the same on Tuesday. Jones is having a rough stint with the Angels in the Cactus League. He is most likely going to remain in the minors for some time since he has yet to prove the team otherwise.